Singer Dr Kathryn Whitney is the creator and Artistic Director of the Dichterliebe Project, the latest in a series of exploratory solo and collaborative song performance workshops and courses that she has led at various conservatoires and universities in the UK and Canada. 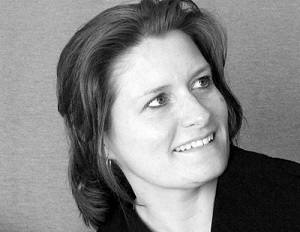 Kathryn will provide solo studio coaching to the singers as well as ensemble coaching to the singer-pianist duos on the Dichterliebe Project, and she will give masterclasses, lectures, workshops, and provide German diction and poetry performance coaching to the singers, pianists, and auditors on the course. Kathryn’s previous song projects include a three-year term as artist in residence at Oxford University (Wolfson Creative Arts Fellow, 2002-2005), where she completed a nine-concert exploration of English and German song and poetry, and a two-year period as artist in residence at the Royal Welsh College of Music & Drama (Walton Fellow, 2009-2011), where she gave workshops and masterclasses to undergraduate and postgraduate singers and performed a series of concerts of the complete songs of British composer William Walton in Wales and Italy. She was Artistic Director of the inaugural reflective song performance project of the SongArt group, the Winterreise Project, which took place in Canada in 2015. In 2010, Kathryn joined both the Voice Faculty at the Victoria Conservatory of Music and the Institute of Musical Research, London, where she is an Associate Fellow and Co-Director of the SongArt Performance Research Group, a cross-disciplinary collaborative performance group supported jointly by the Royal College of Music, the Royal Central School of Speech & Drama, and the School of Advanced Study, University of London. Together with her SongArt Co-director Amanda Glauert, Kathryn has overseen six experimental song performance events in London since 2010, including a workshop on Mignon settings presented in collaboration with the Schubert Institute, UK. In 2012, she was a Visiting Fellow at the AHRC Centre for Music Performance as Creative Practice, with whom she sang a series of song recitals exploring the effect of live vs. video-recorded performance on audiences in association with a team of colleagues in psychology and musicology led by Daniel Leech-Wilkinson at King’s College, London. Kathryn was trained at the Victoria Conservatory of Music, and went on to gain advanced degrees in music, German language, music aesthetics, and singing performance from the University of Toronto (BA), Oxford University (MPhil & DPhil), and the Guildhall School of Music & Drama in London (PGDip Performance). A specialist in art song performance with an active repertoire of over 450 songs, she has performed for numerous recital series in Canada and abroad, including at St John’s Smith Square, London, the Oxford Lieder Festival, the Rolston Recital Hall, Banff, and the Regina Musical Club. Her recent song performance projects and recital tours have been funded by the BC Arts Council, the Canada Council for the Arts, the Arts Council of England, and the Ralph Vaughan Williams Trust, among many others. Kathryn’s studies of the song repertoire includes work with many experts, including Rudolf Jansen, Elly Ameling, Susan McCulloch, and Robin Bowman. A champion of new music, she has premiered over 50 songs and song cycles in both the UK and Canada, the majority written for her voice. Prior to beginning work as a performer, Kathryn taught music history (including song history) and aesthetics at Oxford University for more than 10 years, with concurrent appointments at both Cambridge at the Royal Academy of Music in London. Kathryn’s other musical passions include early music and choral singing. In addition to her work as a clinician for the British Columbia Choral Federation, she is the lead instructor on the adult soloists stream of the biennial Summer Academy Oratorio Program, Co-Artistic Director (together with Brian Wismath) of the biennial Summer Academy Choral Program, and the Director of the Solfa Chamber Choir Workshops, all housed at the Victoria Conservatory of Music in Canada. Kathryn is hugely excited about the interesting possibilities for performance exploration and knowledge exchange promised by the Dichterliebe Project, and she hopes all amateur singers and pianists, as well as music-lovers, in Victoria and the surrounding areas will consider joining us and sharing their musical insights and experiences. 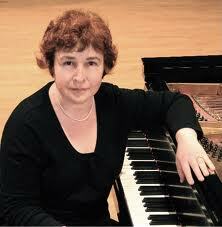 Pianist Anna Cal is the director of collaborative piano performance and interpretation on the Dichterliebe Project. She will be giving solo studio coachings to the pianists, as well as ensemble coaching to the singer-pianist duos on the course, and she will give masterclasses and workshops on song interpretation to our pianists, singers, and auditor participants. Anna was trained in St. Petersburg, Russia. She was accepted into the Soviet State Music School at age six. She studied there for nine years, and was extensively trained in Piano Performance and Collaborative Piano. At age 15, she started her Bachelor Degree Program in The Rimski Korsakov College where she continued her training in Piano Performance and Collaborative Piano as well as Pedagogy and Psychology. After acquiring her BMus with highest distinction, Anna was accepted to the St. Petersburg State Conservatory of Rimski Korsakov in 1982. She studied with many well-known professors, including Pavel Egorov, Vitaly Berzon, and Elena Shishko, graduating with her Masters Degrees with highest distinction in three separate fields of Solo Piano Performance, Collaborative Performance and Piano Pedagogy. She also has extensive training in the history of Music and advanced Harmony. After graduation, Anna moved to Italy, where she worked for two years with Italian and German singers performing songs and lieder in the Roma festivals. Anna maintains a large private studio where she teaches Piano, Harmony, and coaches vocalists. She is a senior teacher at the Victoria Conservatory of Music in the Keyboard and Theory faculties, where she also teaches piano pedagogy. Anna is on the faculty of VCM Summer Piano Academy. Anna has worked as a collaborative pianist and voice coach for the Young Artists program with Pacific Opera Victoria. She is a frequent performer in Victoria as a soloist and in collaboration with voices and instrumentalists. Anna was Director of Collaborative Piano on the Winterreise Project, 2015.